CTS is one of the fastest growing job-related injuries. CTS occurs when the median nerve becomes entrapped and compressed in the defined space where the flexor ligaments are encased around the carpal bones. Symptoms include numbness or tingling on the side of the thumb, index, middle and half of the ring finger, trouble with fine finger movement, decrease in grip strength, wasting of the thenar muscles and inflammatory signs. It is crucial to visit your musculoskeletal specialist (chiropractor) to determine (diagnose) if you do have CTS. 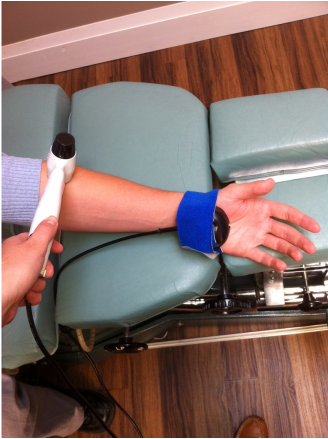 Referral to a medical doctor may be necessary for nerve conduction tests or advanced imaging. CTS can be mimicked by many other conditions such as thoracic outlet syndrome. Careful examination of signs and symptoms should be provided because impingement of the nerves involved in carpal tunnel can happen in several areas of the body including the neck, shoulder, elbow and forearm. Medical approaches such as prescribing medications and steroid injections often disregard a more natural and safe approach. Extensive research has been performed constantly and consistently showing the efficacy of low-level laser therapy in many conditions including CTS. In a study by Dincer, et al., looking at 100 hands of female patients with CTS concluded that the combination of low-level laser therapy and splinting was superior to stand alone treatments with other modalities. Low-level laser therapy is thought to work so well because of its positive effect on pain levels and tissue inflammation. Further studies involving laser treatment demonstrate lessening of pain symptoms, improving finger and hand functionality and strength. Possibly most importantly, studies involving laser therapy have no reported side effects. This drastically affects the risk to benefit ratio. 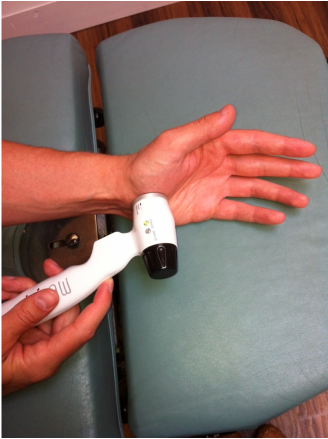 Utilization of low-level laser therapy for carpal tunnel is gaining wider acceptance with each passing year. Over 3,000 studies have been published to date and hundreds of new studies are being performed. Laser therapy should be the treatment of choice for mild to moderate CTS and many other conditions involving pain and inflammation because its proven effects and virtually no side effects.